A Credit Union Share Certificate gives you the opportunity to invest your money with minimum risk and a guaranteed return. You can earn a higher rate than you would on a savings account and still enjoy the security of a low-risk investment tool. We offer certificates with terms ranging from six months to two years. View our current certificate rates here. Early Withdrawal Penalty – We may impose a penalty if you withdraw from your account before the maturity date. Amount of Penalty – For Share Certificate accounts, the amount of early withdrawal penalty for your account is 90 days’ dividends, including principal. Plan for your retirement with an Individual Retirement Account. A variety of options are available to meet your financial needs, and deposits may be tax deductible. LONGEVITY – retired Americans are living longer, healthier lives. This certainly has resulted in the need to stretch or add to your retirement funds. SAVE ON CURRENT TAX BILL – If you are eligible, you may be able to deduct your contributions to a Traditional IRA on your current tax form and still reap tax-deferred earnings until withdrawal at retirement. TAX FREE EARNINGS – Roth IRAs generate tax free earnings when withdrawn, as long as the account has been maintained for 5 years or you meet certain other withdrawal conditions. 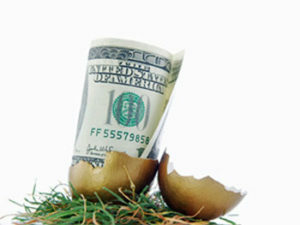 DIVERSIFICATION – IRAs can help to diversify your retirement portfolio. Traditional or Roth IRA contributions for 2019 are $6,000. If you are 50 years of age or over, the maximum is $7,000. We can help you to secure a more comfortable retirement by assisting in your consideration of which type of IRA may be best for you. View our current IRA rates here.